Heat the water in a large soup pot. Add the onion, bell pepper, garlic, oregano, and cumin. Cook and stir over medium heat for about 5 minutes, or until the onion is soft. Add the beans, tomatoes, bean cooking liquid, corn, chilies, and optional adobo sauce, cover, and simmer, stirring occasionally, for about 20 minutes, or until the mixture has thickened and the flavors have blended. Season with salt to taste. 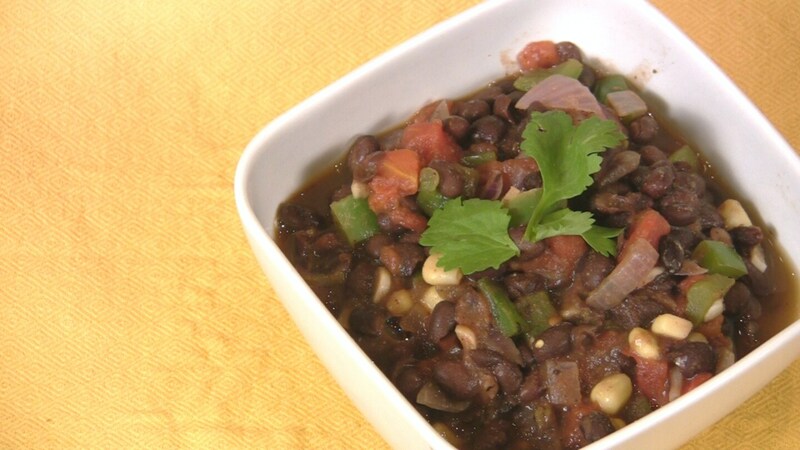 Stored in a covered container in the refrigerator, leftover Black Bean Chili will keep for up to 3 days.